LDPE SHEETS stands for Low Density Polyethylene sheets, which are tough, flexible, chemical and impact resistant, sheets that have thousands of applications. These sheets are lightweight and come in different size, quality and colors. » A cost effective substitute to Tarpaulins. » 100% Pure Cable Plastics made from Virgin Material. » 100% Waterproof, Resistant to acids and alkalis. » Easy to use and recyclable. » Used for monsoon Shed Covering. » Roof protection for hutments during monsoon. » Constructions and machinery site covers. 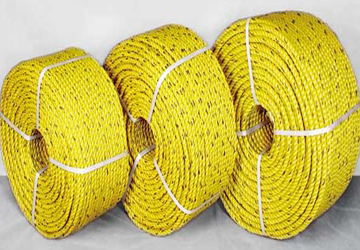 PP ROPES are made from Danline Yarn Technology that ensures these ropes stand out from the rest in terms of breaking strength and service life. 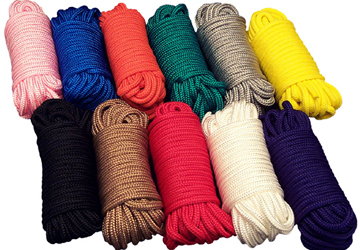 PP Ropes are known for their excellent outdoor service life and are flexible and easy to use. » UV Stabilized PP Ropes for long lasting service life. » Non-Corrosive, Light weight and immune to extreme atmospheric conditions. » No water absorption and inert to chemicals. » Excellent shock absorption and high tensile strength. » Special quality made for Submersible Pump, useful for agriculture. » Industrial applications include material handling operations, used extensively in transportation and warehousing. » Used in Sugar factories, Engineering and Construction for material handling. » Applications in fish net making, domestic uses and sports nets. 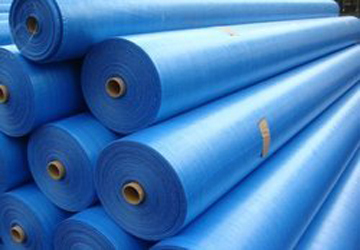 HDPE ROLLS are supplementary to HDPE Tarpaulins. These rolls can be cut into different sizes as per the requirement. 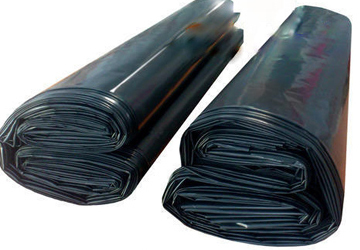 Features and uses are the same as HDPE Tarpaulins.